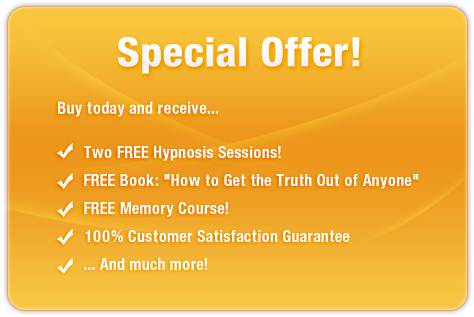 Experience total concentration and full mind control – INSTANTLY! Want to be able to stay focused in any situation? To be envied for your concentration skills and single-mindedness? Then you need Laser-sharp Focus. This fantastic audio recording will turn your mind into a precision instrument, able to concentrate fully ON DEMAND! The Laser-sharp Focus session uses the latest in subliminal messaging technology to deliver thousands of positive, motivational messages directly to your subconscious – helping you focus and get things done quickly and effortlessly! And it’s 100% risk-free! If you’re not completely satisfied with your enhanced powers of concentration, let us know within 90 days and we’ll refund your order in full. Don’t lose sight of your goals! 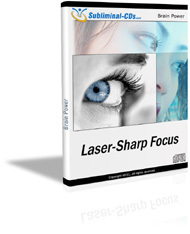 Purchase Laser-sharp Focus TODAY and enjoy the benefits of a focused mind immediately!